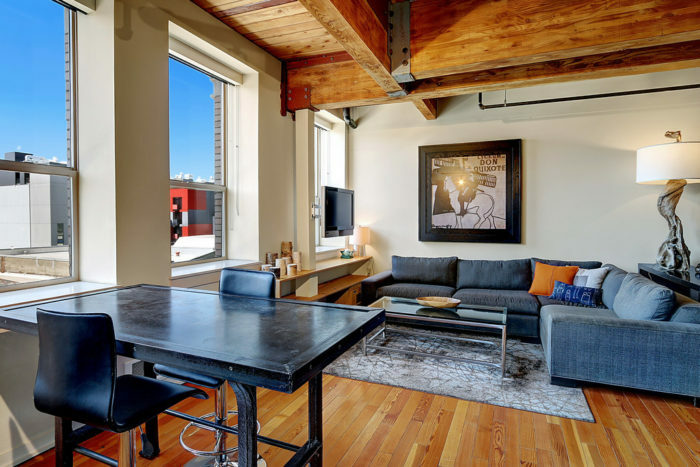 Historic Trace Lofts, a 1919 warehouse converted to stylish urban residences. 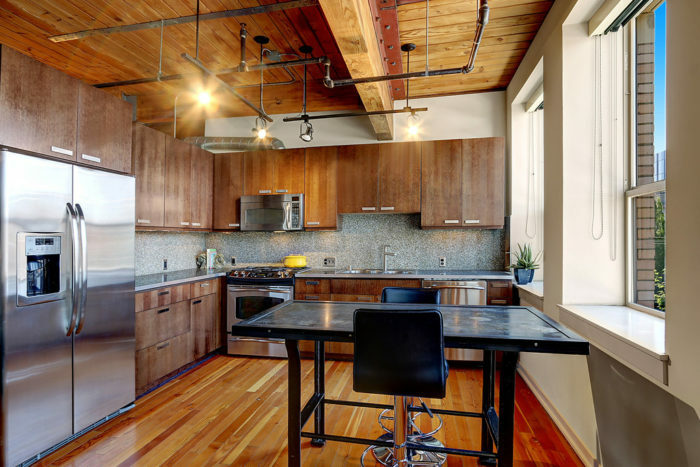 A stunning blend of past and present combining industrial elements; steel, old growth beams and reclaimed Douglas Fir floors, with modern design; sleek cabinetry, stainless appliances, gas range & stone countertops. In the epicenter of the Pike/Pine corridor; incredible cafes, bars & restaurants, shopping and live music at your doorstep. 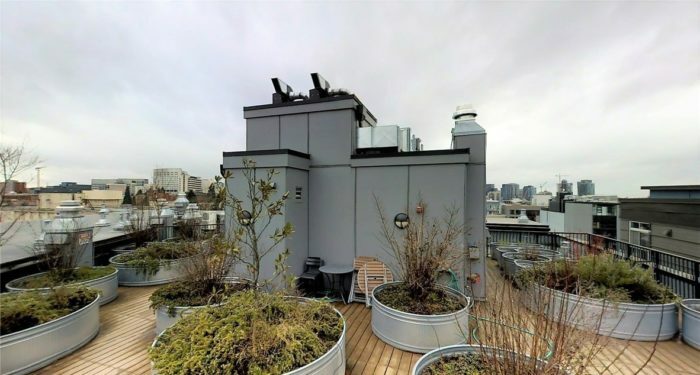 Amazing rooftop view deck, parking & storage. No rental cap! 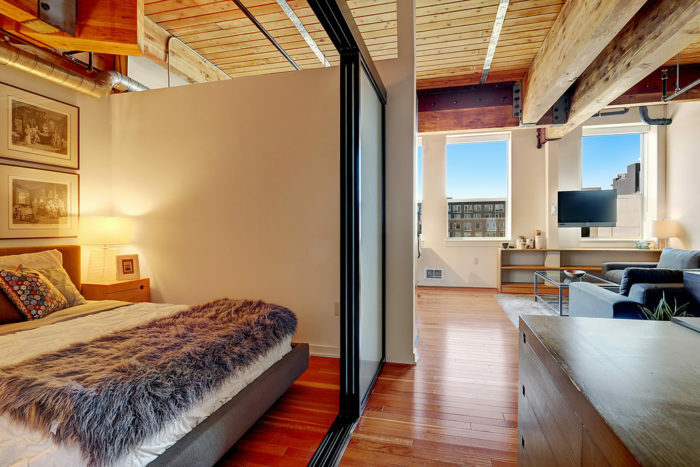 Amazing design with modern elements, a wall of windows, flooding the unit with light. Handsome, warm, full of character. 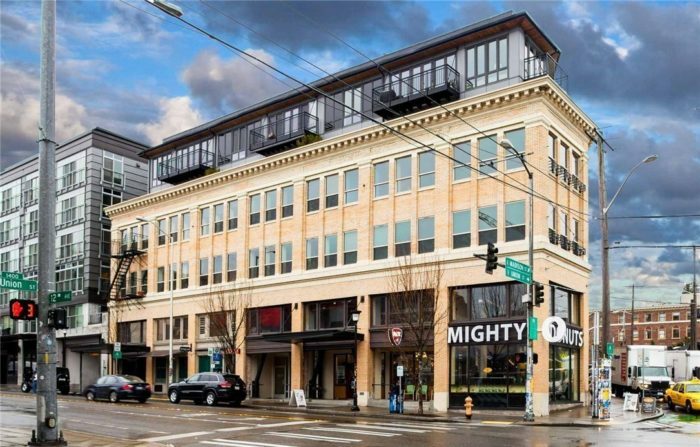 Trace Lofts brings you the best of Capitol Hill. 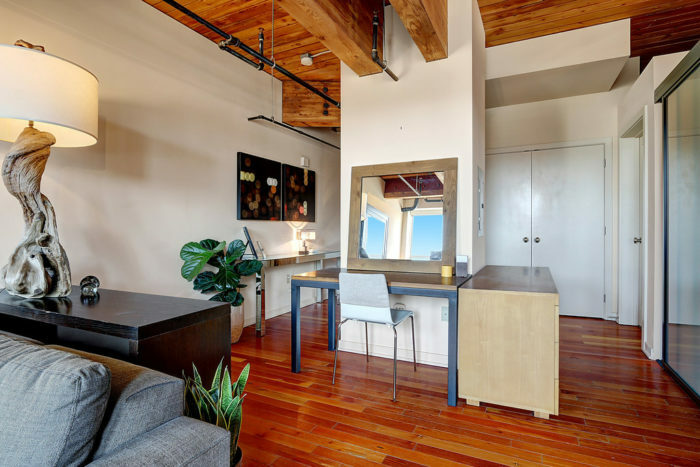 Stunning corner unit will whoo your guests – showcasing exposed brick, steel barn door, old-growth timbers and welcoming modern conveniences. 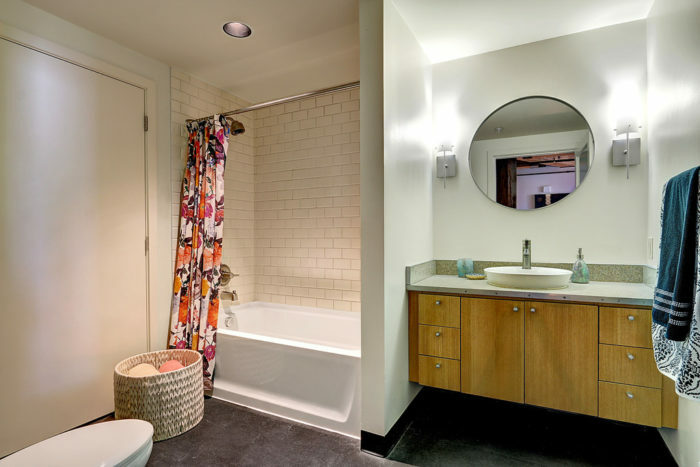 No sacrifice to detail with LED up-lighting, flush cabinet hardware & Edison bulbs. The bedroom features opaque sliding door for privacy, yet lets in subtle light. 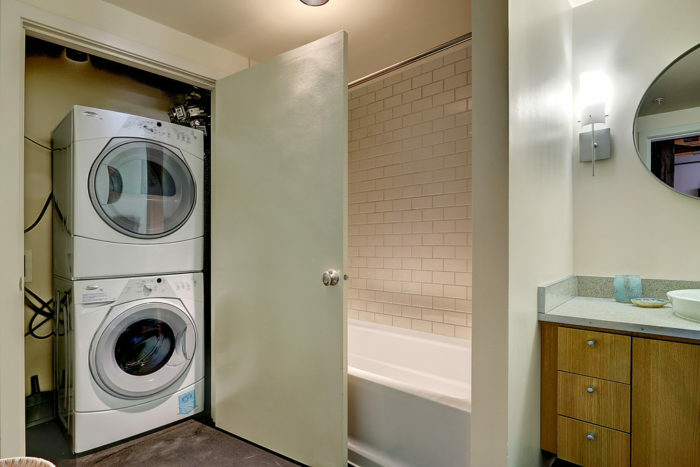 In unit washer and dryer, stainless steel gas appliances, storage unit on same floor as unit, and secured parking round out the list of features. Your pantry becomes walkable Pike/Pine eateries, hip bars & breakfast joints. A 99 walk-score and just a short walk to the light rail station means there is nothing to lose with a location like this. 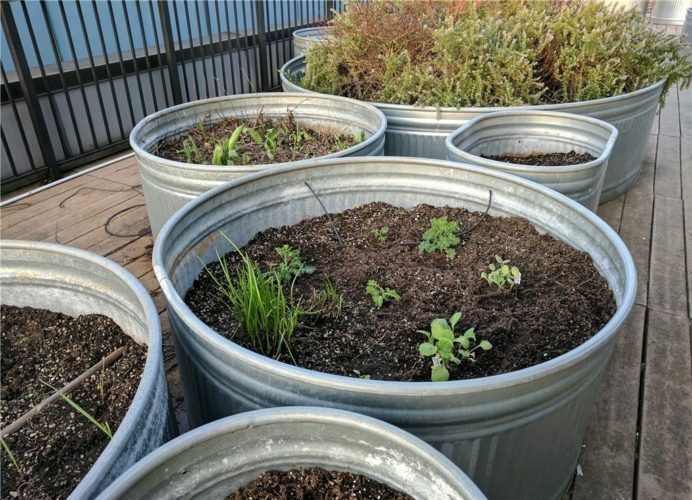 An urban time-capsule awaits you in Capitol Hill. 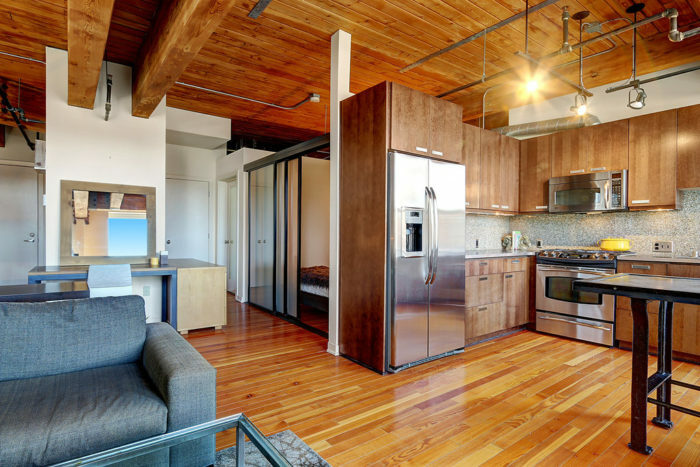 Completed in 2008, Trace Lofts offers old world mixed materials with modern systems, convenance and reliability. The beauty of a time past shines to make this home one-of-kind. 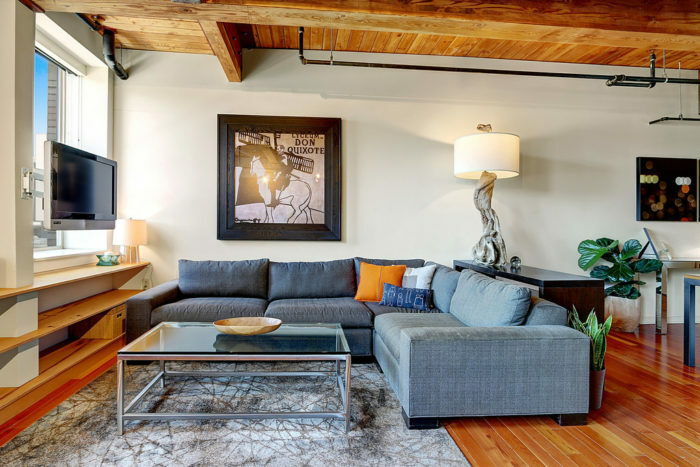 Modern and Sophisticated style is the essence of life in downtown Seattle. Sophisticated is a perfect description of this urban abode. Original fir floors stretched across the entire unit. Exposed brick wall with uplighting to accentuate the warmth of the material. Old growth timber ceiling adds to this dish and will have you and your guests gush over this home. 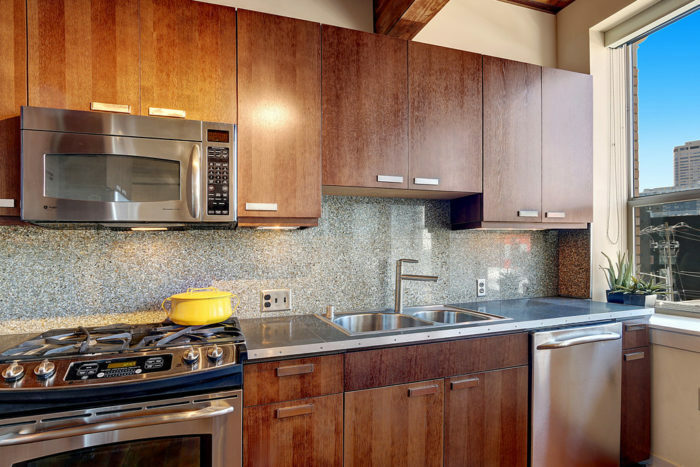 The modern stainless steel kitchen includes gas cooking, large bathroom with plenty of storage, fresh paint. Tons of natural light floods into your West-Facing windows which line the entire unit. Don’t worry the owner added black out shades for those who prefer a little reprieve from the sun. Step in the front door and you’ll see what makes this condo a special place to call home. 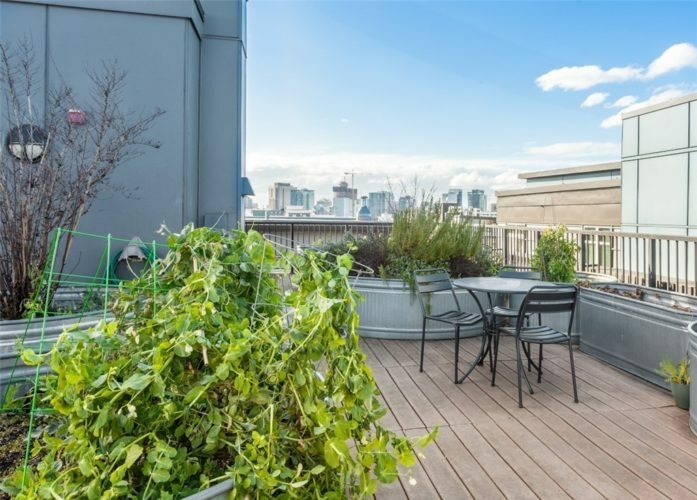 A great place to enjoy, sunbathe, entertain friends and grow your own vegetables! 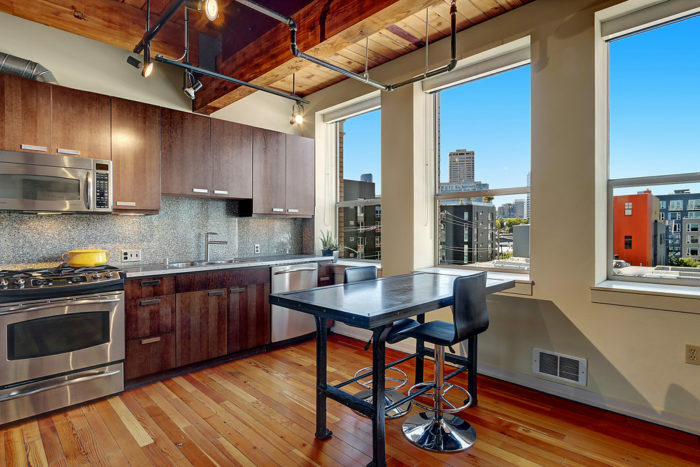 The number one attraction for Trace Lofts is the location! With a 99 walkscore you’ll find everything you need is walking distance. 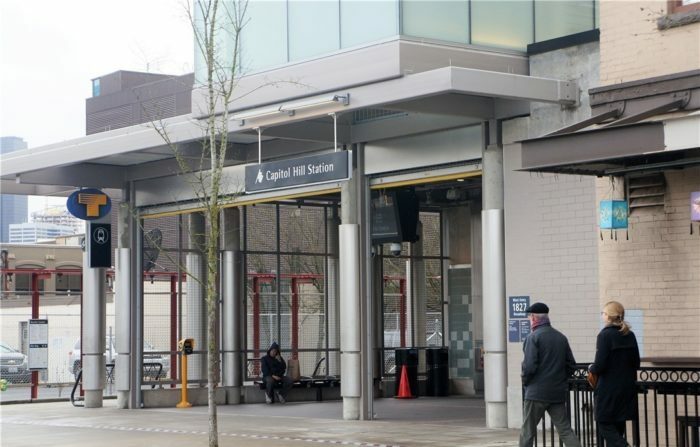 Trace North is located in Capitol Hill’s and by extension Seattle’s best location. The Pine Pike Corridor! 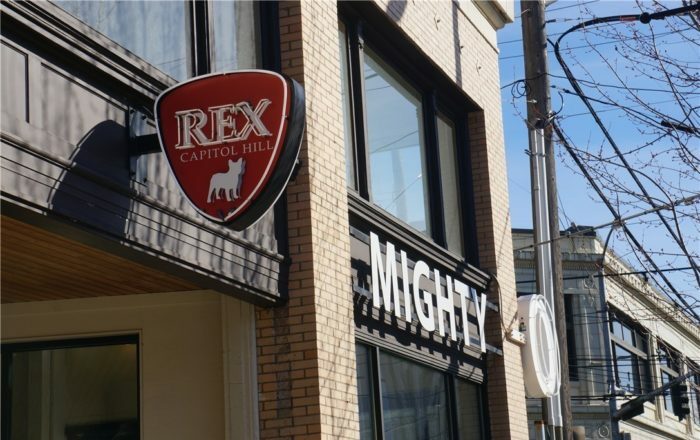 All Capitol Hill’s best Cultural and Culinary treasures can be found moments from your front door. Location is hardly the only feature that awaits a savvy buyer. You will also enjoy a secure entrance, stunning lobby, roof top deck with amazing city views. 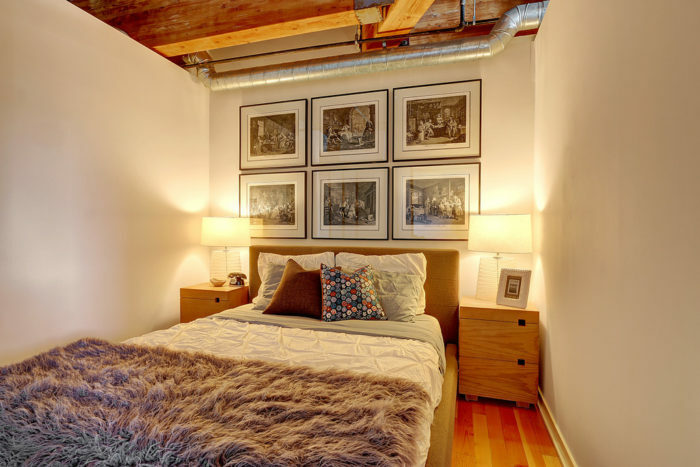 You will also appreciate the large storage unit found on the same floor as the unit and secure parking for your car. 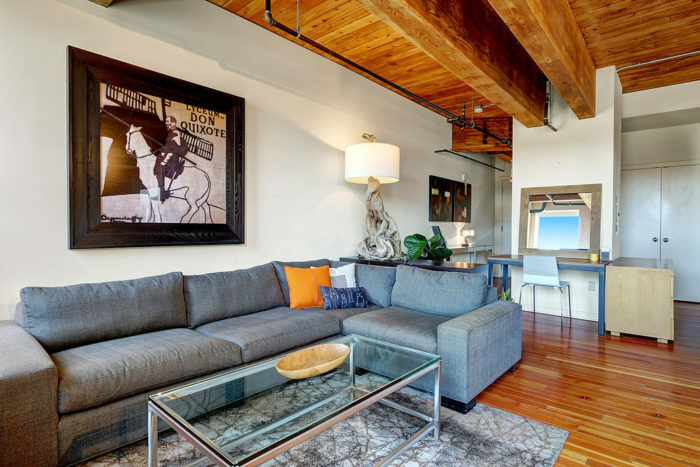 You’ll find so much to do around Trace Lofts that your home will become the logical meeting place for all your loved ones. 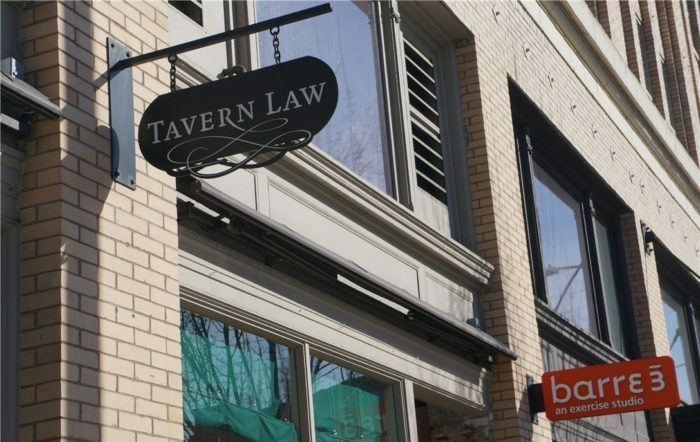 Located in the first floor of Trace Lofts alone you’ll find Mighty O’s donuts, Tavern Law, Barrio, Katsu Burger, and Needle and Thread. Quite a choice just a short elevator ride away. The options grow as you walk around of course.